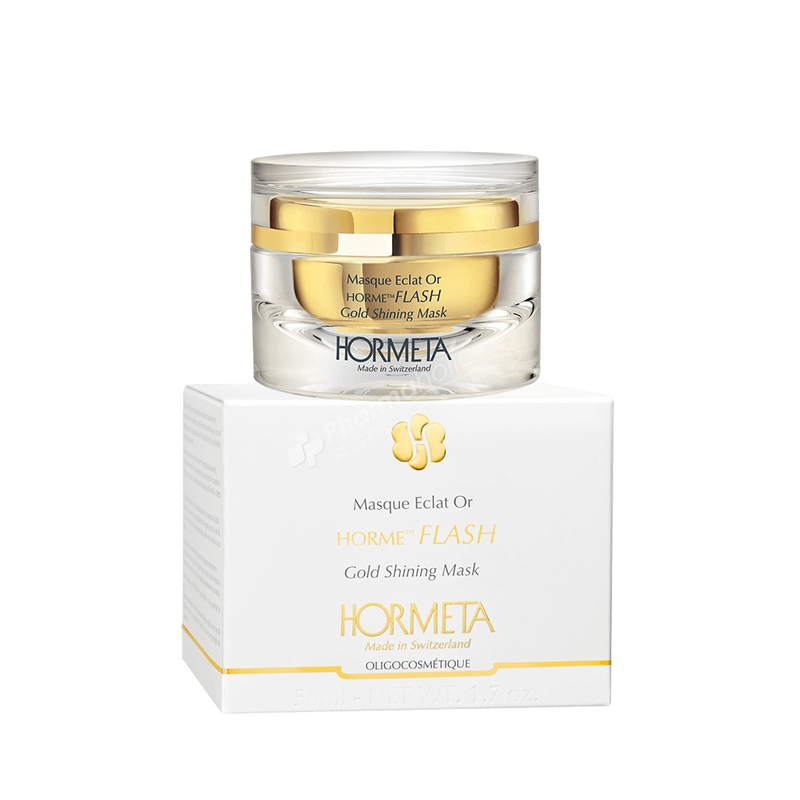 Hormeta HormeFlash Gold Shining Mask is a revolutionary gold-dust mask for a dose of pure radiance to smooth and brighten the skin, replenish the complexion and erase the signs of tiredness. A revolutionary gold-dust mask for a dose of pure radiance to smooth and brighten the skin, replenish the complexion and erase the signs of tiredness. Instant result. The skin is smoother, softer and brighter. The signs of tiredness are reduced and the complexion is left radiant. A precious formula: gold dust, an energizing complex and provitamin B5, combined with HORMETA’s specific trace elements complex. A refreshing, pleasant formula, a unique and luxurious look. Apply in a thick layer on thoroughly cleansed face and neck. Leave for 10 to 15 minutes then remove using a damp cloth. Apply once or twice a week.